I'm one of those strange beigns who doesn't undestand the purpose of wearing shoes. Encaging my feet in two sacks of synthetic leather /plastic /rubber is something I find annoying; they feel trapped, they get all sweaty and warm, and they usually pass me the bill for it at the end of the day. Also, I hate to know that I'm blocking those amazing sensitivity terminals that connect me with the earth; it's temperature, its texture. Walking barefeet reminds me I'm a human being. Many rural cultures worldwide still don't wear shoes, and they don't seem to need them. Things work different for people in the cities, though. I suppose that metropolitan populations need shoes to prevent their feet from burning/aching when the sun makes the pavements and sidewalks so hot it burns to walk on them, or when the ground is so rough it hurts to get from some place to another. Grass is never too hot nor too cold, and walking on it feels great on your feet. I propose that every city installs a "Green Pathway". It would be a broad strip of grass on sidewalks, parking lots and public places so people can actually walk barefeet from place to place without the usual disadvantages of not wearing shoes, providing them with a feeling of freedom and enabling an extra amount of neurons to become active and perceive the world around them. Who wouldn't enjoy taking their shoes off on their lunch break and walk to their favorite eatery? Who wouldn't want to walk home (or to the parking lot) barefeet after a day of hard work? Nothing replaces the freedom and comfort one can experience by not having to wear shoes: it's relaxing and stress releiving. Side benefit: cities would look greener. In the case grass would be too expensive to mantain, or in places where it won't stay green and soft, it could be replaced by a sand pathway, equally nice to walk on. Very nice, if I could be assured of no broken glass or little doggie presents. Nice green fresh grass is lovely to walk on. Nice idea. Would never work for the reasons [Ling] pointed out. To add to his list of things that would appear on the Green Pathway within minutes: vomit, syringes, food packaging, giant mutant rats that bite at the feet and squeak with triumph as they find a lack of foot shielding. I suggest the best way around this would be to make turf insoles for your sandals. That way you get the tactile sensation of grass on the soles of your feet, combined with maximum possible ventilation. I don't see why littering sounds like such a problem. Regular sidewalks are kept quite clean already. The idea doesn't say your feet will stay clean, it's just offering a soft surface to walk on. It's not like we don't have to be aware of "doggie presents" with shoes on. I'll give you that, but given that littering will inevitably occur, the appeal of the notion is predicated on the supposition that people will be prepared to walk along a mucky surface. Plus, food waste (or anything sticky/gooey) is much harder to remove from grass than it is from concrete because it gets gummed up in the blades. This is exactly for that kind of people. Getting your feet dirty is part of the beauty. Yes, you will have to wash them before going to bed because "no pain, no gain". For those who aren't willing to get some dirt in their soles, regular paved sidewalks would still be there. Apart from the mucky/not mucky discussion, there is another point: without shoes the feet harden. I've seen a few people in Thailand walking along the road without any shoes on, and the road surface temperature is more than I could bear for more than a few seconds. I would think that these people wouldn't be able to really feel too much through 1/4 inch of foot leather. Of course, the occasional bare foot walker wouldn't be this extreme, but I wonder for how long he would be able to feel the sensation of grass through his feet? Living in a city where the TV news people annually fry an egg on the sidewalk, I don't do much barefootin'. The grass would be nice, but as you said, expensive to maintain here. Sand? Ooo, ow, ow, ouch, burny, hot, ouch. I guess I could always move north. We don't get to do a whole lot of bare footing in the great white north but (+) for the sentiment. Seems to me that if the grass walkways were slightly humped that mud wouldn't be a real concern and if only barefoot pedestrians could use them then abuse would be minimal. Most of the places I've lived had a strip of green between the sidewalk and the road, but I've never seen people walking barefoot along them, mostly for the reasons Longshot, Ling, and Doc listed. Finally, mother nature herself can impede this with jagged rocks, gravel, snow, and gnarly tree roots. It would make it more expensive, but if you could elevate the grass sidewalks by 7 feet or so, and have ladders leading up to them at periodic intervals, you would pretty much eliminate the litter problem. Typical litterers wouldn't bother chucking it up there, pets couldn't get up the ladders, and your target audience is probably fit enough that a brief climb would be worth the reward. Nice. Dewey grass underfoot has to be one of my all-time top 10 sensations. And also one of the ones I can talk about in public, which is a bonus. ..covered by 4 inches of snow and ice. Not to mention that nice tingly feeling from the sub-arctic winds. we all want to run barefoot on the sand/grass/asphalt. In the summer I go to parks to feel the grass between my toes. All the objections above are quite reasonable in some places, but there are some cities (non-dog obsessed, temperate, thinly populated, clean etc.) where this would work. And it would be great. Ms. Pericles, I am a fellow barefooter. I do not own slippers, and would, and usually do go out on the deck in snow, take the garbage out in the rain, and sometimes just go and walk around the perimeter of our house, in the tall grass, sans shoes. I wish I never ever had to wear shoes or socks. The whole shoe thing, paying thousands of dollars for expensive designer shoes has left me clueless for years. Soooo a + for the thought, but then I must fess up and admit some of the dog poop issues are a bother. Just to comment on what Ling said earlier. It doesn't actually take as long as one would think to build up calluses on your feet large enough to stop pain from heat and jagged rocks. I know from experience that if i walk on rough surfaces without shoes for a couple of weeks I stop noticing. Pericles, I think you've just defined a criteria for the livable city. After all, if you can't walk barefoot for any reason, then it isn't fit for humans. We need to be reminded that we're humans. Who wants to live where its ouchy hot, messy, dangerously pointy, rat-infested, icy cold or just not foot friendly? I say take a walk barefoot to see if you should move! I was going to post a link to a pooper-scooper robot idea, but much to my surprise, there doesnt seem to be one here. If your city is messy - clean it up. Post no dogs allowed signs and put some trash barrels along the path or something. + for the idea. You'd have to wonder if all the walking on it would kill the grass -- though this miht be a place where genetic engineering could be used without invoking the 'No GE Magic' rule - making plants hardier is the bread and butter of some genetics firms. Still getting my croissant, though. It is a nice vision, but no deal. 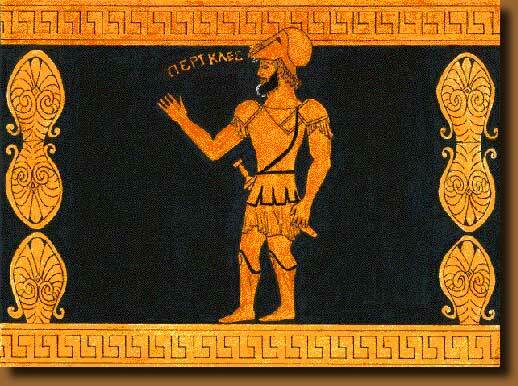 Even us ancient greeks wore sandals, or in your case (see link), boots. If this grass was used for walking on, even by just 10 people using the same path each day, the ground would get compacted, and nothing could grow. As for using sand, well, after a few rains and lots of walking on, it would end up being like concrete after about a month. You can more easily see & avoid any hazards on the concrete than on grass. Concrete needs less maintenance (chemicals, water, mowing, etc). And your feet will get calluses quickly either way. So, go ahead and walk barefoot on the concrete. It's not that bad and you can do that now. I think golf greens would be a good model for this idea. Very short grass on a sand substrate. Short is good because it won't gather trash and you'll see most anything dangerous, sand is good for compaction reasons. Run a hose along the thing with holes in it for the occasional waterings, or design a machine that waters and mows at the same time (and picks up trash/dog presents). Of course, this would leave open the possibility of a cross-city miniature golfing league. Nice in theory, therefore (+). Sand is a nice solution, but again, could get hot - having lived in Phoenix, and Madras, I know. An interesting design constraint with this idea is intersecting roadways. Do you have to cross the street on pavement? That'll hurt in the summer. Of course there are many ways around this. You can only have pavement in small strips about the width of tires. Or you can build [nick]'s elevated grasswalks and add bridges over traffic - no more waiting for stoplights. Feet don't just harden with exposure, they also grow larger fatty layers on the soles to provide all the cushioning that modern folks get from trainers. In fact, shoes are pretty awful - most ankle injuries are caused because people's feet tend naturally to slide around in shoes, which makes them especially bad for sports like tennis where you change direction a lot. And it is lovely to maintain that connection with the real world. Whenever I'm walking somewhere I try to touch as many surfaces as I can (leaves, bark, rocks, brickwork, etc.) just to feel the different textures. Still, no [+] for you [Pericles], sorry! -the real world has hookworm and broken glass. Now someone needs to invent natural grass for it. I really like the idea of walking bare feet. Btw., my brother says he saw people walking bare feet in London, in a bus... strange.